CargoSmart delivers high quality data through reliable solutions that allow customers to improve visibility, productivity, and collaboration. 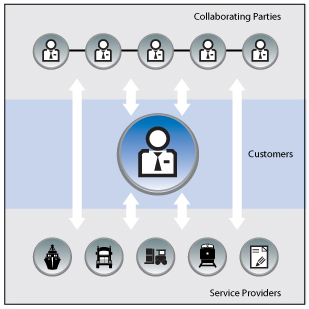 CargoSmart's solutions are available on application, integration, and mobile platforms to enable parties with varied technological capabilities, business needs, and roles in the shipment process to manage their shipments with multiple carriers throughout the shipment cycle and seamlessly connect to their network of suppliers, customers, logistics service providers, ocean carriers, and other business divisions. As an on-demand service, CargoSmart provides the hardware and software infrastructure, makes regular software updates, hosts customer data in a highly secure environment, and maintains system connections to ocean carriers and other service providers for customers. Using Software as a Service (SaaS) solutions to manage the shipment process saves customers money on hardware, software, data storage, and integration costs. CargoSmart complements and extends customers' existing global trade management (GTM) and enterprise resource planning (ERP) systems. Whether you prefer to use online or mobile applications to manage your shipment process or to integrate to CargoSmart to send high-quality information from your multiple carriers directly into your internal system, CargoSmart enables multiple options to help automate your business.